She was 87, and is survived by five children. 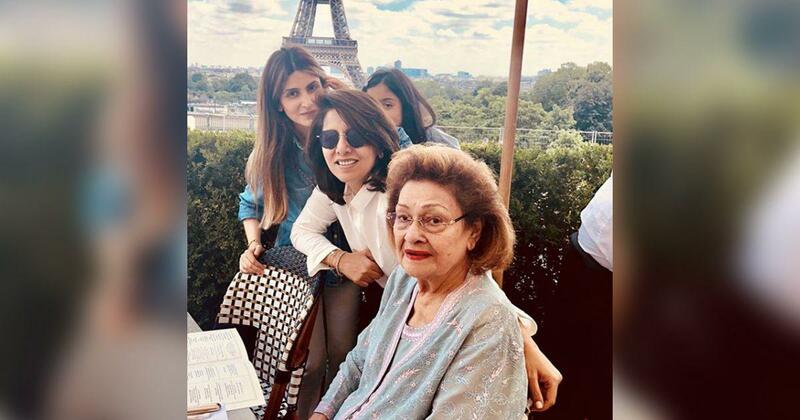 Krishna Kapoor, the wife of late actor-filmmaker Raj Kapoor and the matriarch of the Kapoor family, died early on Monday morning in Mumbai after a cardiac arrest. She was 87. Born on December 30, 1930, Krishna Malhotra married Raj Kapoor in May 1946. Her father was the maternal cousin of Prithviraj Kapoor, Raj Kapoor’s father. Raj Kapoor died in 1988. The couple had five children: Randhir, Rishi and Rajiv Kapoor, Ritu Nanda and Rima Jain. Among their grandchildren are the actors Kareena Kapoor Khan and Ranbir Kapoor. Krishna Kapoor was known for her elegance and fortitude, as the tributes on Twitter revealed. Such sad news this morning.. the most beautiful lady of our industry Krishna Raj Kapoor passes away.. my heart goes out to the entire family.. Krishna Aunty may you rest in peace. If Raj Kapoor was an institution in film making, Krishnaji was an institution in living life. A very sad loss to all of us. My love and warmth to Randhirji, Rishiji, Chimpuji, Reema, Rituji and everyone in the family. I am so sorry to hear of the passing of #KrishnaRajKapoor The few times I interacted with her were so memorable; she was an incredible personality full of life and passion and with never a hair out place! She will be missed greatly. My deepest condolences to the family.